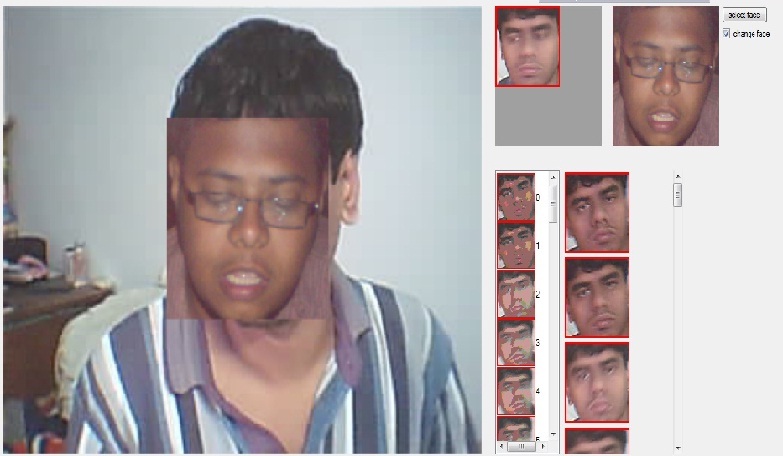 One of my past blog i write about how to detect and extract faces using live webcam, now using that , i m going to make a funny software which detect the face and replace it by ur desired face or image whatever u like it, its not to perfect but fun to see. 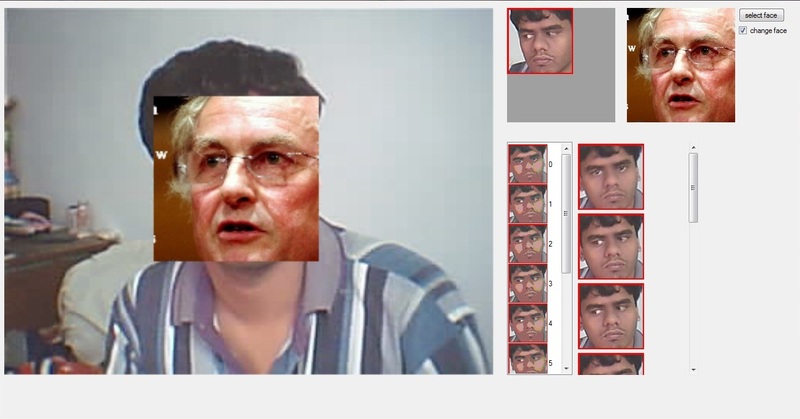 first using emgucv harrdetection technique i detect the the face and extract it, here is the summery of how i did it. So first step is download the emgucv dll files because we are going to use it in our code. After download just add the dll in reference of ur project solution. Now we need a very important file which is used as template to detect face we called it face_template, It is a xml file, u can get it from here . secondary link is here. After download the xml file saved in “bin” folder and named it “face_template.xml” . Now prepare a simple gui, A windows from, two picture box and a timer which is enabled at interval not less than 100. Now timerclick event which will take the webcam captured image one after one. first see the full function code then analyze it. it takes a frame from current web cam video stream. after .1 seconds it gets another frame because of timer function interval set to 100, if we want to fastened it we have to use threading. by this code we certain that we get a picture and can start analysis. This analysis can divide in two steps. here frame.draw() draw the rectangle in the main frame.Graphics g is used to draw the extracted face in new image file which is bmp. and browse the image after select the image my software will check that it has a face or not, if it has face it only keep the extracted face and if it had no extracted face it will keep the full image here is the code for that. 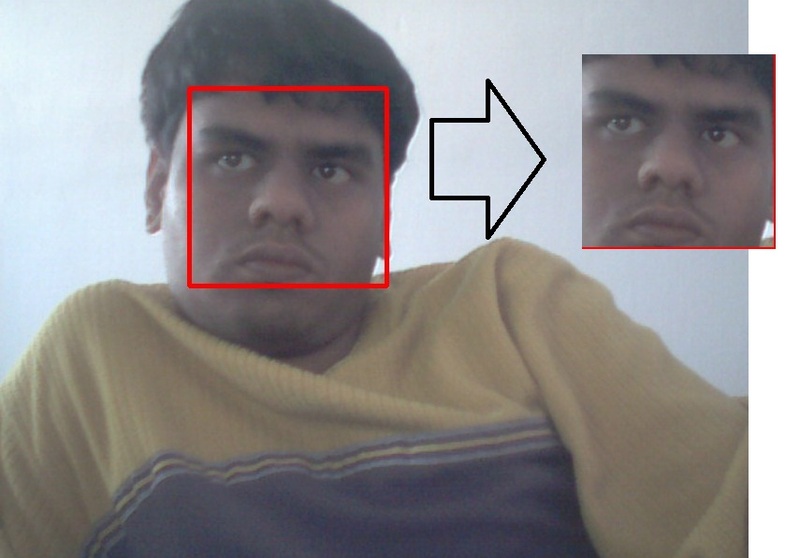 This entry was posted in C#, Image Processing, Winform app and tagged C#, detect face by webcam, dotnet, face detection, face extraction, face recognition, face replacement, real time video, real time video face replacement c#, simpliest way to detect face, webcam programming. Bookmark the permalink. But have you done any action for merging all rectangles to a single polygon? In this case, instead of using some scattered rectangles, moving object, bounded by a single polygon. I’m sorry. I was reading that article and this one same time and comment on wrong article. yes, convex hull is good idea. I’m waiting for your post about that. hello. can i ask for your source codes? i have copied the codes in here. there was no error but i could not replace the face. fortunately i could detect but i really couldn’t replace it. could you help me by sending your source codes. thanks again. it would help me because i am currently making an image processing project. thanks. i send the code in ur yahoo mail account. hope that helps. i have received it already. thank you very much. Interesting! Did you try blending the faces together? That would be perfect! Thanks for the post, it was very informative. Is there any chance that you can send me the source code? I’m trying to learn how to use the web cam with a video. I’m getting this exception !! The type initializer for ‘Emgu.CV.CvInvoke’ threw an exception.